Apple's approval process on the App Store was described as 'weird' and the Android Play store was attacked for being 'fundamentally flawed' by a panel of mobile marketing experts at Advertising Week Europe. 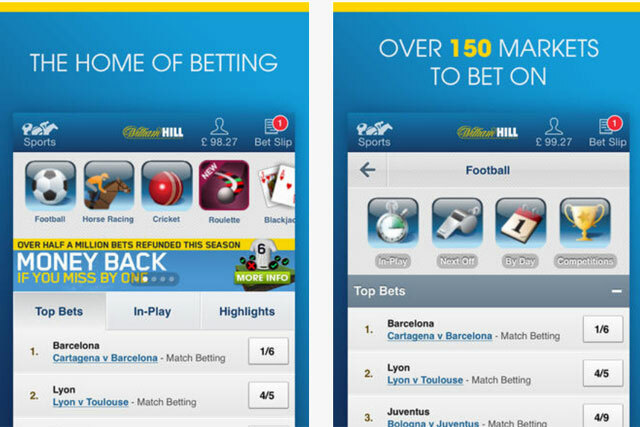 Kristof Fahy, chief marketing officer at William Hill, described the difficulty the gambling company went through to get its app approved by Apple and labelled the "subjective decisions" made as the most difficult part of the process. Fahy said: "If you are based in California, gambling is illegal unless you go to Vegas, so they actually said this [app] is illegal, we can’t approve it and you are like ‘oh my God really?’. So we sent people there to take them through the journey. "We are a plc and compliant – it held us back and it became a bit of a frustration. All we wanted to do was get the distribution channel and it felt like some very subjective decisions were being made in some little weird box in Apple that we can’t get into. "There is a responsibility on their side to understand what everyone is trying to do so they can approve stuff really quickly." Google’s Play store also drew criticism from the panel with Jonathan Clark, marketing director at mobile-only music firm Bloom FM, claiming the charts "are fundamentally flawed". He added: "Discovery is a massive issue for anyone who has an app. We are in a situation where in the top-twenty apps we are competing with 12 that are semi-legal. The algorithms could be tweaked very quickly I imagine." Hotels.com president Johan Svanstrom, who was also speaking on the panel hosted by mobile agency Fetch, also criticised Google’s Play store and said the "algorithm is different and visibility is less clear". Svanstrom also revealed the company has a specific budget for getting mobile downloads, which is "the only mobile budget we have". All other mobile marketing spend from Hotels.com falls within different channels including search and affiliate marketing.